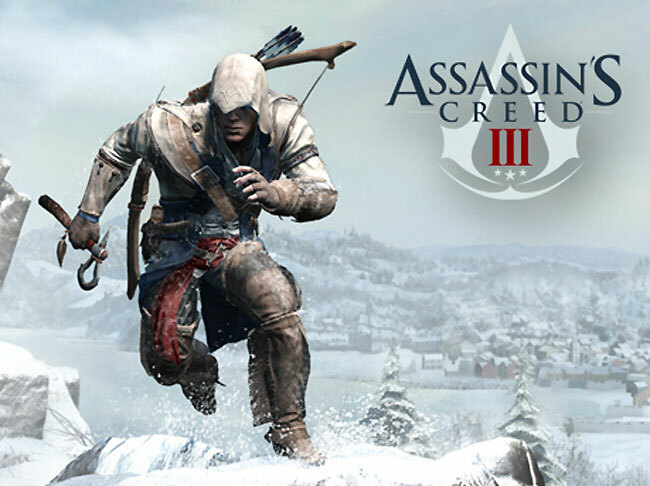 When Assassin’s Creed III officially launches in on PC, Xbox 360, and PlayStation 3 on October 30th, 2012 in North America and October 31st in the PAL region, Ubisoft have unveiled three new Special Edition packs will be launched in Europe. The Special Edition Assassin’s Creed III packs heading to Europe will be called the Freedom Edition, the Join Or Die Edition, and the Special Edition. The Assassin’s Creed III Special Edition, will come with a single player mission “A Dangerous Secret”, that once completed will provide you with an exclusive Flintock Musket. The Assassin’s Creed III Freedom Edition comes with a 9″ figurine of Connor, an exclusive lithograph, George Washington’s notebook (revealing the secrets behind the Templars and Assassins during the American Revolution), a steelbook case art featuring Alex Ross. Together with two single player missions entitled “Lost Mayan Ruins” and “Ghost of War”, and a multiplayer package called “The Sharpshooter“. The Assassin’s Creed III Join or Die Edition will feature Connor’s Medallion, George Washington’s notebook, single player mission “Ghost of War”, and multiplayer package “The Sharpshooter”. Enjoy!